Individuals with a very high arch (cavus foot) may suffer from one of a number of neurological disorders such as Charcot Marie Tooth (CMT) sensory motor neuropathy. Foot deformities are caused by a muscle imbalance in the leg and foot and usually get progressively worse over time. 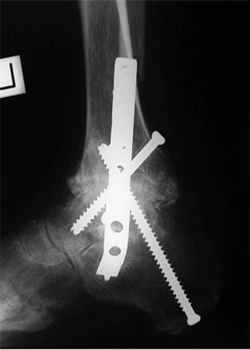 Eventually the foot deformities may require surgical correction although special orthotics and braces may be useful in the early phases of this disorder. 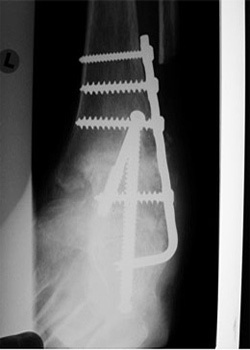 It is important that medical advice is sought before deformities become severe as surgical options often become limited. 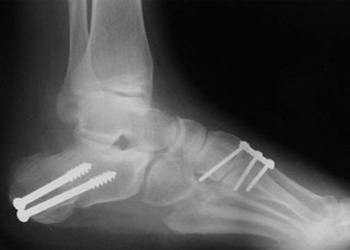 Ideally surgery should aim to correct the foot deformities and to improve the muscle imbalance that caused them. 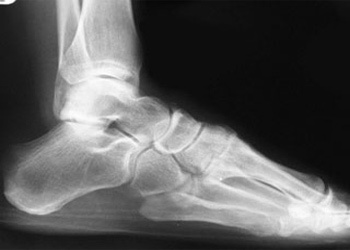 Often deformities can be corrected without stiffening the foot although, for severe deformities fusion of joints in the hindfoot may be required.